I felt guilty that I wasn’t hungry. My husband and I had taken separate cars to church as we had commitments at different times. He left for home before me and began preparing a lovely lunch. He knew I was famished, because half-way through the sermon my stomach growled and I was outed! I left the parking lot soon after John, but didn’t go right home as I had an errand to do first. I stopped to purchase more of the olive oil and balsamic vinegar that we like to get from this amazing Italian market that sells specialty Italian food items. When I walked in, they were just taking a fresh tomato and basil flatbread out of the pizza oven and I caved. Even though I knew that John was at home working on lunch for us, I couldn’t wait. I had allowed my hunger to go too long unattended; so when temptation came across my path, my resistance ran out the door like a burglar! And that’s why I felt guilty that I wasn’t hungry when I finally got home. Did I come clean about my “appetizer”? Nope! I ate every bite of what John prepared. But it didn’t taste as good as it would have if I was still hungry. And my stomach actually felt uncomfortable eating that much food after the two pieces of pizza I previously ate! In Matthew 9:17, Jesus makes a reference to wineskins. He and his disciples were being criticized by the spiritual elite for not fasting. Jesus replied that the guests of the Bridegroom don’t fast while he is with them, but they will fast when He is taken away. Then He went on to make a seemingly random comment regarding wineskins saying that no one puts new wine into old wineskins. Everyone in his audience would be aware that as wine ages, it expands and would burst recycled wineskins that had previously been stretched as far as they could go. Jesus said that people put new wine into new wine skins. Now while I have always seen this Scripture as one reminding me that Jesus came to give us new life and make us “new wineskins” that can hold the new wine of His Spirit, I saw something different this time. I saw that Jesus connected the description of the new wineskins right after his comment about fasting. He said that his followers would fast when he was taken away. THEN He commented on old wineskins. I believe that one of the reasons He made this connection has everything to do with what fasting does to us. If you’ve fasted, you know that you get very hungry! And moreover, fasting empties us of US. While I can’t fully explain why this happens, it seems that our physical weakness somehow highlights our dependence on the Lord and we are drained of ourselves. I believe that Jesus made the connection between fasting and new wineskins to emphasize the point that unless we get hungry and make room in our hearts and in our minds for more of Him, we’ll starve to death. If we continue to fill ourselves with the things of this world that fill us up – like my slices of tomato basil flatbread – we will never hunger and thirst for the relationship with Jesus that is our real nourishment. When someone is sick, they lose their appetite. 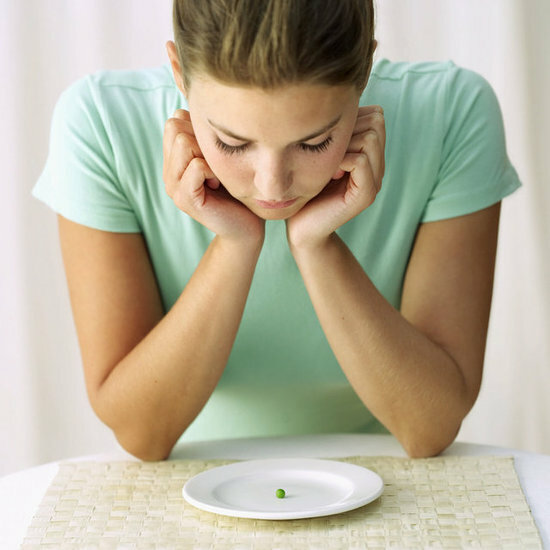 When someone is REALLY sick, doctors worry about the loss of appetite because it can go on so long that the person begins to become malnourished. The same is true for our spirits. If we are sick from indulging too much in things that corrode our spiritual arteries, then a fast will jump start the hunger that leads us to healing. And if we’ve been stuffing ourselves with too much TV, too much Facebook, too much gossip, or too much anger and self-pity, then fasting creates a hunger for the Presence of God that can set us free from the things that are distracting and weakening us. Most of the mighty men and women of God down through the ages were regular fasters (if that’s a word!). They knew the power of making themselves weak in order to tap into the power that goes beyond human reason. As I said before, I don’t know why there is this direct correlation between fasting and drawing closer to God, but it’s real and it’s a quick fix for when we’re out of alignment. One of my children was born with a slightly underdeveloped neurological system. He was fine all day when it was just him and me in the house. The house was quiet and we moved to his rhythm. But in the afternoon when his older siblings came home from school with their loud voices, backpacks dropping on the floor, doors opening and closing and the TV blaring, he just lost it. His body was processing every sound, both those in the other room and those right in his face, at the same intensity. He would start screaming and turn red and break into a sweat. The pediatrician recommended that when these episodes started, that I take him into a quiet room, turn on some Mozart and walk with him at an even pace of one second per step. He needed the cadence of Mozart and my synchronized walking to bring him back into equilibrium. Fasting does that for us. The clamor of the world is so loud that we are the victims of the barrage of those messages and noise all day, every day. We need fasting to bring us back into God’s rhythm. There is a well of endless Presence that is available to us. In these last days, when the world is getting darker and it’s getting harder to stand up for our faith, disciples of Jesus Christ need to learn how to press in for more and more of Him. He is the only One who will hold us, heal us and sustain us when everything around us is shaken. If you have never experienced His breathtaking love first-hand, then I encourage you to reach out and ask Him to reveal Himself to you now. You will find a sovereign power that shatters your illusions of control, a mercy that wrecks your religious trappings and a love that overwhelms your fears and lifts you up into an enormous embrace. Remember how I said that if we don’t get hungry we’ll starve to death? Well, it’s very possible to fill up on junk and not allow hunger for the things that satisfy for eternity to fill our hearts. And that’s why wineskins are related to fasting: if God is going to pour new levels of His love and deeper revelation of His nature into us, we need to be empty. We can’t be full of old junk. Fasting clears away junk faster than anything else! And when that new wine of His presence is poured in, he can’t fill the old vessel. He needs us to be supple and agile and ready to expand with the greatness of Who He is. We can’t stay small and full of yesterday’s mindsets. It’s time to grow, and it’s time to get hungry for more of God. Out with the old and in with the new! It’s time to call a fast! If so, did you sense a strength within your heart to fast or did you just starve yourself until the fast was over? If you just went without food but didn’t pray or seek the Lord, then unfortunately, you just starved yourself. You might get some benefit from that, but the fast the Lord calls us partake in requires times of prayer and focus on Him. He is the only one who is going to be able to rid us of the things that are clogging our hearts up and make room for the new wine of his Presence. Fasting: The Key to Releasing God’s Power in Your Life, by Derek Prince. Published by Whittaker House, 1993. ← Memorial Day Message: Can you give three minutes?